This Gleeson Clan Gathering website came into existence in Oct 2013 and was launched in earnest on 12th January 2016. 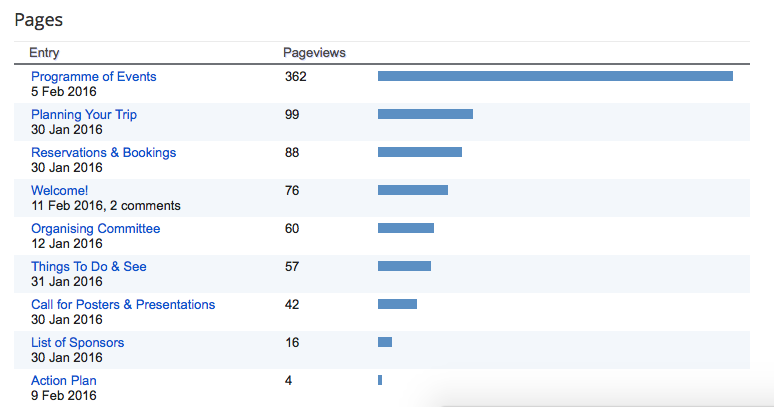 Over the course of these past 4 weeks it has attracted quite a bit of traffic. Below is a break down of the metrics associated with this website (using Google Analytics). Even though these results are very preliminary, it is clear that the reach of the Gleeson Clan Gathering website is very extensive and stretches out to the full extent of the Irish Diaspora. These preliminary metrics are important in order to secure funding for the event and are presented here to demonstrate that the infrastructure is in place to help promote the event and assure its success. So far, the website has been viewed more than 4300 times since inception, and 3000 times since the launch of the Programme of Events on 12th Jan 2016. 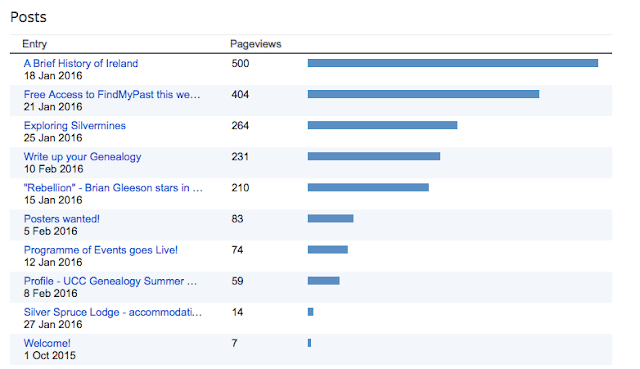 The number of hits per day averages at about 100.
Who is the audience for the Gleeson Clan Gathering? 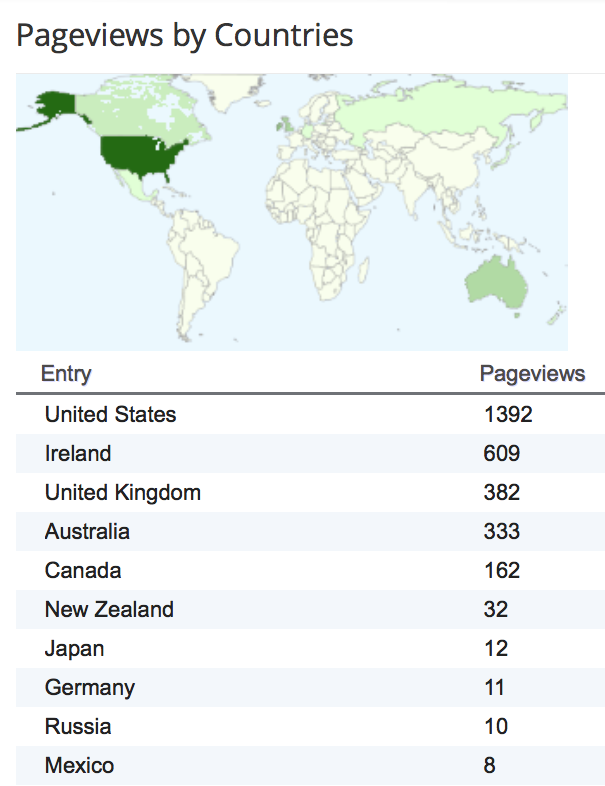 Ireland is the country with the second highest number of views (609), so clearly the website is reaching both Local Irish and Diaspora Irish alike. 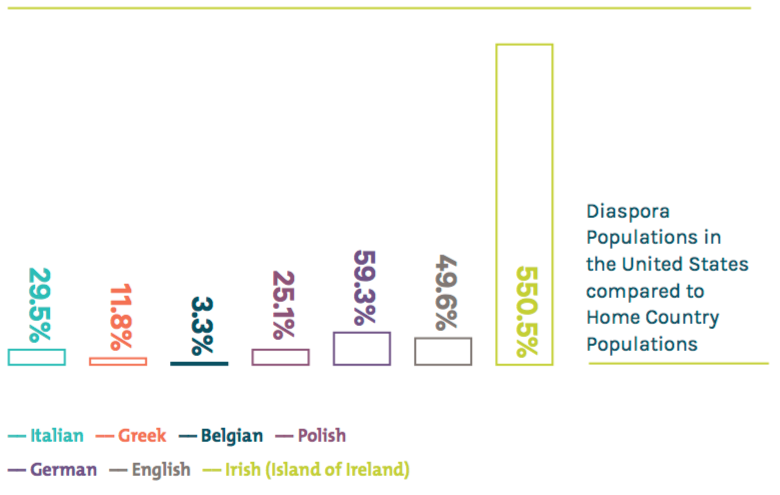 This changes the order of the countries with Ireland coming out a clear winner (129.6). Interestingly, the country with the next largest "Penetration Ratio" is Australia (13.88), followed by New Zealand (7.11), and the UK (5.87). The US and Canada come in joint last with a ratio of about 4.5. Maybe more Gleeson's went out to the Antipodes then to the New World? Either way, it is good to see that the website is reaching both a local and an international audience and this should hopefully be reflected in the number of people attending the Gathering. The post that drove the most traffic to the website featured a 6-minute video by Donegal schoolteacher John Ruddy who has made a fabulous cartoon version of the History of Ireland voiced by himself. This is perfect for anyone who needs a quick introduction to Ireland ... in a nutshell. Another popular post was the one announcing free access to the FindMyPast records. People like free things. In terms of Pages (the more static parts of the website), it is good to see that the Programme of Events is the page attracting the most hits. This shows that people are interested in the event and want to see what is going on. The second largest number of hits is on the Planning Your Trip page, which suggests that people are actively looking at what is available in terms of accommodation, car hire, etc and making at least provisional plans. And again encouragingly, the page with the third most number of hits is the Reservations & Bookings page. This is specifically designed to give viewers the event codes needed to book a place on each individual event, tour or outing. The Gleeson Clan Gathering website has certainly attracted a lot of traffic since launch on 12th Jan 2016. This momentum will be maintained over the course of the next several months with at least weekly postings in order to engage the audience and encourage attendance at the Gathering in August. From the above metrics, it is evident that the website has a reach that extends to both Local Irish and Diaspora Irish alike, wherever in the world they may be.